If you’re looking to a way to create a friendly pool amongst your friends or fellow workers, a free printable bracket template could be just what you’re searching for. With a blank bracket template, you are completely in charge of the sport or event, rules, participants and prizes. 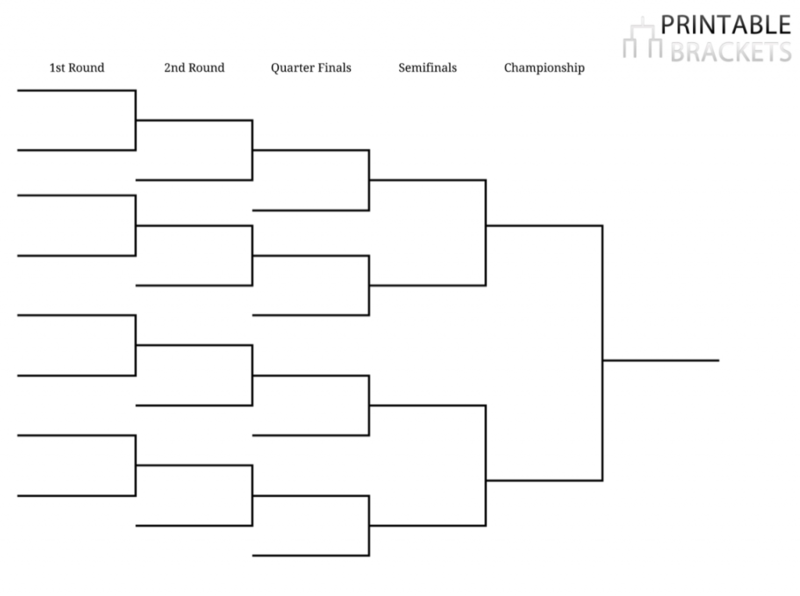 A bracket template truly can be used for tournaments of any kind! It is important to note that the information published on this page is for entertainment purposes only. By using a template, you can fill in all the teams on “Selection Sunday,” jot down your picks and select who you believe will be the national champion, and keep track of all your projections and favorite teams. A free bracket sheet is perfect for participants in an office pool. By using these sheets, you can compete against your friends and co-workers for bragging rights and more. These templates are also ideal for college hoops aficionados and even the casual fan. But you shouldn’t limit yourself to professional and college sporting events. A blank template can be used for Pop Warner, Little League or youth soccer tournaments. Templates can be posted in the classroom to update the results of student competitions. They can even be used for karaoke or trivia contests in your local watering hole of choice.